Flat breads play an important role in many cuisines around the world. In Mexico, tortillas are used for tacos and enchiladas, in the Middle East, flat breads are smothered in hummus, in Scandinavia, rye crisp breads are covered with lox, in India, roti is dipped into curry and in Greece, flat breads wrap their yiros and in Turkey, their donner-kebabs. This Flatbread for Beginners Masterclass at the Minstead Study Centre will introduce you to a world of flat breads and give you the skills and recipes you need to bake your own flatbreads at home. Flatbread for Beginners is held on Saturday February 10th 2018. The class is led by Paul Merry, an artisan baker who has been baking for 40 years and teaching people how to bake for 20. He'll cover some of the fundamentals of bread-making, including universal tips and tricks that will have you mastering any loaf. 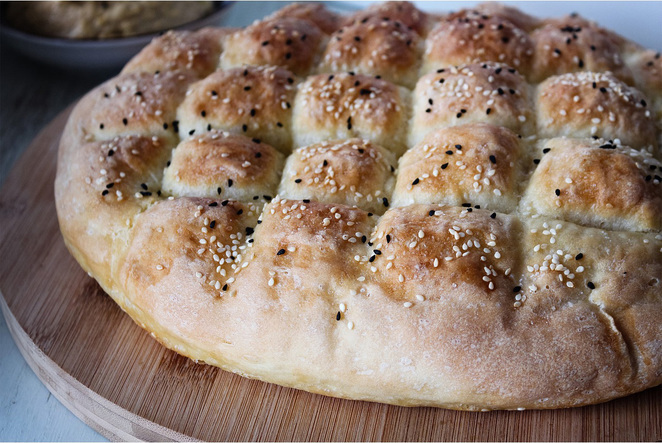 The class focusses on flat breads and will cover a range of bread from various countries around the world. You'll experience different flours and different baking styles and understand how the different techniques help create the different styles of bread. You'll come home with plenty of recipes to help you continue your baking journey. The class begins at 10am and runs until 5:30pm. Lunch will be provided and tea and coffee is available throughout the day. Tickets for the class are £75 per person and can be purchased online. If you require any extra information before booking, contact the Minstead Study Centre on 023 80 813437. The Minstead Study Centre is located in Lyndhurst within the New Forest. It is approximately 13 miles from Southampton and just over a 20-minute drive. The Minstead Study Centre frequently hosts workshops and learning activities. The Centre has a focus on sustainability and features vegetable gardens, animals and a surrounding forest. For more upcoming activities at the Minstead Study Centre, visit their website.